Live your most beautiful life. InMode’s minimally-invasive aesthetic solutions enable patients to live their most beautiful lives without the lengthy surgical scars or downtime. People who want to contour, lift, and tone their abdominal, breast, face, neck, arm, thigh and/or knee areas can now do so with a small incision point. BodyTite and FaceTite provide unprecedented skin contraction, up to 36% as shown in peer-reviewed clinical studies. The procedure also addresses loose skin typically remaining in the treatment area that other treatments cannot target. The result is a nicely contoured/toned face and body. Learn more about our minimally-invasive procedures and find a physician near you for a consultation. Don’t want any incisions when contouring? No problem! InMode has a suite of non-invasive procedures that don’t require any incisions and deliver noticeable results. 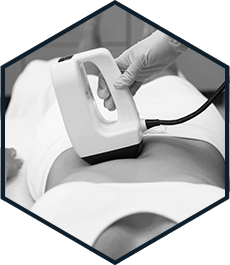 Our non-invasive body treatments help improve the appearance of cellulite, reduce dimpled skin, help slow the loss of elasticity on the abdomen, love handles, hips, thighs and other areas that require fat reduction. Learn more about our non-invasive procedures and find a physician near you for a consultation. Our remodeling solutions help improve skin texture and complexion to enhance the skin’s overall appearance. Patients can revive aging skin by stimulating the formation of new collagen to improve elasticity. Patients often can feel results immediately during and after the treatment. The best part is that the results look and feel completely natural. The most commonly treated areas include: lower eyelid, upper eyelid, smile lines, forehead, cheeks, mouth and neck. Face and body areas that exhibit wrinkles, discoloration, active acne or acne scarring are also suitable for treatment. Learn more about our skin remodeling procedures and find a physician near you for a consultation. 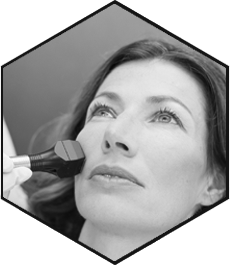 For patients looking to address facial pigmentation, superficial vessels, skin texture and/or photodamage IPL is the optimal solution. IPL treatment improves skin complexion, reduces skin irregularities and helps patients look years younger. IPL provides a “photofacial” that helps address age spots (red/brown pigmentation), sun damage, vascular lesions (spider veins, port wine stains, leg telangiectasias), rosacea (redness) and freckles. The most common areas of treatment are zones that are regularly exposed to the sun. This often includes the face, neck, décolletage, legs, hands and arms. Learn more about our treatments to address pigment and vascular issues and find a physician near you for a consultation. Safely and gently eliminate unwanted hair with our advanced laser treatment by reaching the root of hair follicles. Our hair removal technology covers a large treatment area, making treatments convenient and fast. Even better, most patients report little to no pain, due to 3PC Cooling that provides the ultimate in patient comfort. During laser treatment, a diode laser beam is targeted towards the hair follicles. The penetrating energy then heats up the root of the hair, destroying it, which prevents future hair growth. Our laser hair removal technology can be safely used on most areas of the body that have unwanted hair. Most commonly treated areas include: bikini, legs, arms, chest, back, shoulders, stomach, neck, chin and sideburns. Learn more about our hair removal technology and find a physician near you for a consultation. As women age, their bodies face a host of new changes. Previously, women did not have many options to address these changes. Now, with new technologies available, women have more options to address their concerns. Votiva is about you. It’s about time. Ask your physician for the solutions available for women’s health and wellness. "It has brought a restorative look to my skin and I feel really good. I have achieved that youthful glow that I was hoping to get, and I’m really happy." "I would recommend Lumecca. I like how it brightened my face and gave me a beautiful glow. I can really see a difference." "My skin has not felt this firm since I was a single woman in my twenties. There was little to no discomfort and I was back to my normal activities the next day." Click below to request a brochure.